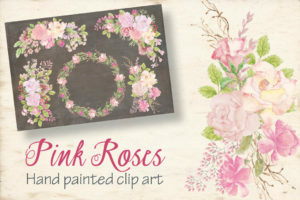 Vintage roses in peachy pinks; 4 sprays plus a bonus wreath. 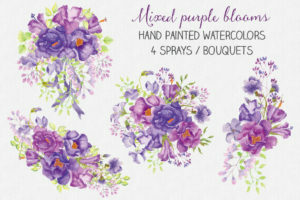 The listing is for 4 floral sprays in a delicate design. The listing includes a bonus oval-shaped wreath of co-ordinating flowers. This gives you a great little mini-bundle for creating all your vintage-inspired designs. 1 zipped folder is immediately available following purchase containing the 4 sprays plus the bonus wreath (JPEG and PNG) – 10 files.